TravelCenters of America announced it is offering certified used truck and trailer inspections through its TA Truck Service network to provide both the reseller and the customer with an overall view of the equipment at the time the inspection was completed. Each piece of equipment will be given an emblem signifying it has passed both a Department of Transportation inspection and a series of additional tests on key operational components, according to the Westlake, Ohio-based company. “The maintenance history for a used truck or trailer is typically not available to a prospective buyer,” said Skip McGary, executive vice president of commercial operations for TA. “The reseller may have no knowledge of the condition or health of the vehicle. We provide peace of mind to both the reseller and the buyer that an ASE Certified technician has inspected the vehicle. The TA Truck Service network includes 244 truck service facilities with 1,090 repair bays, nearly 3,000 technicians with Automotive Service Excellence and Tire Industry Association certifications, a fleet of more than 2,600 RoadSquad and third-party provider service trucks and more than 143 OnSITE mobile maintenance vehicles, according to the parent company. 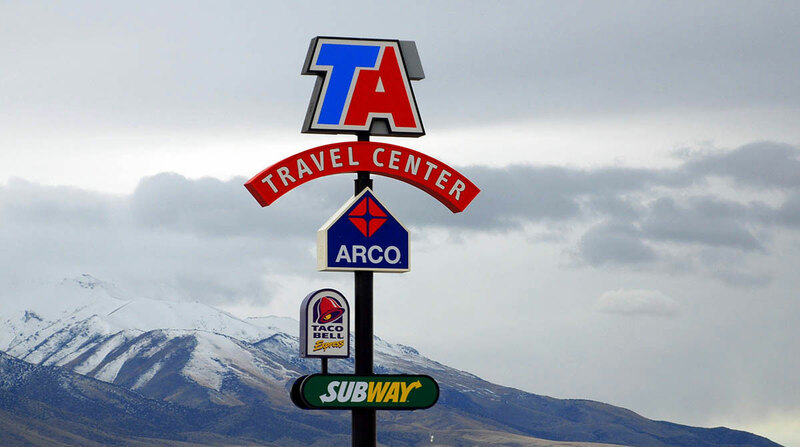 TCA operates 223 travel centers — under the Petro and TA brands — in 43 states and in Canada, plus 229 convenience stores and 11 stand-alone restaurants.